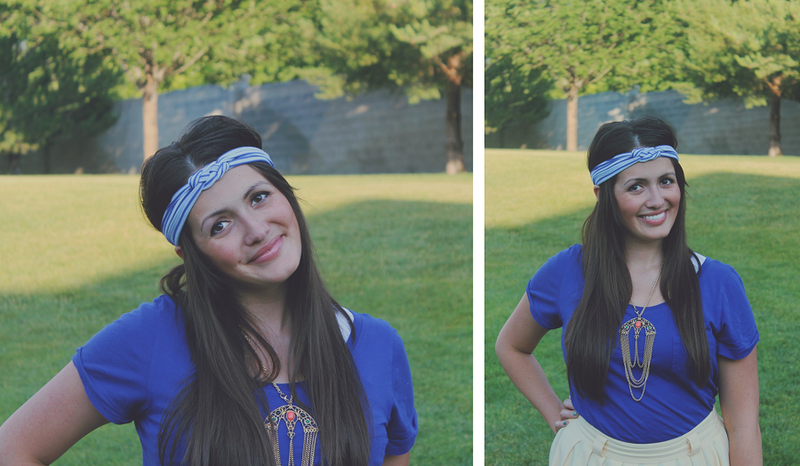 I've been wearing headbands a lot lately, there's so many different ways to style them! Whenever I pull my hair up in a top knot a headband pulls together my look and helps keep some of my extra layers out of my face. However, a problem I usually have is finding a headband that stays put on my head without giving me a headache. Has anyone else ever had that problem? 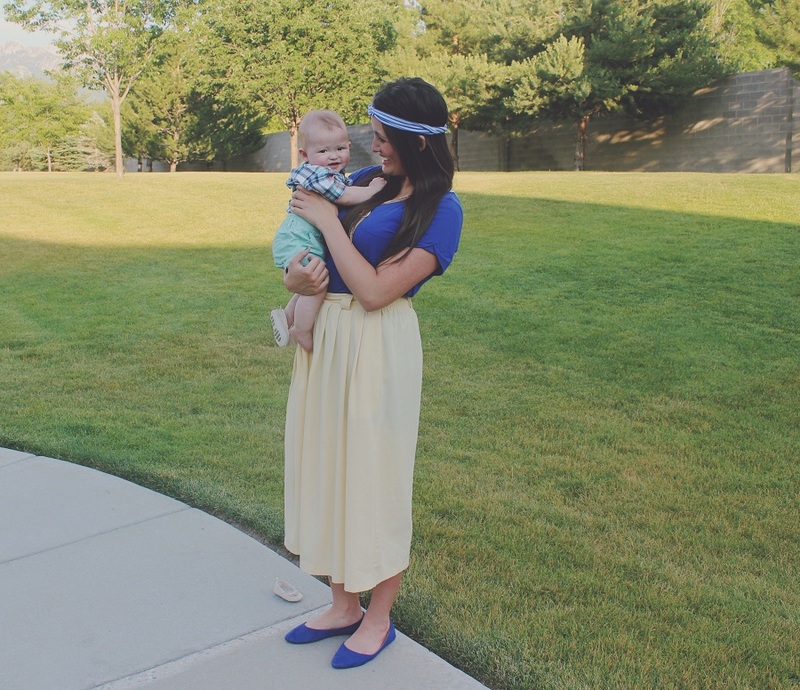 Lemons & Lace recently sent me "The Betty" headband and not only is it lovely, it's extremely comfortable. It has just the right amount of stretch and actually stays put on my head. 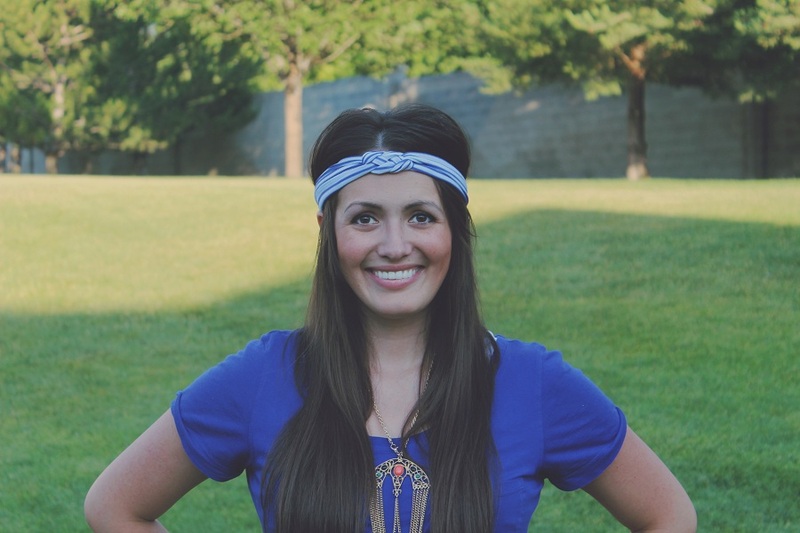 This headband is made with a lovely royal blue mini striped fabric and twisted turban style for a trendy look! I personally think this is a perfect hair accessory for the 4th of July. 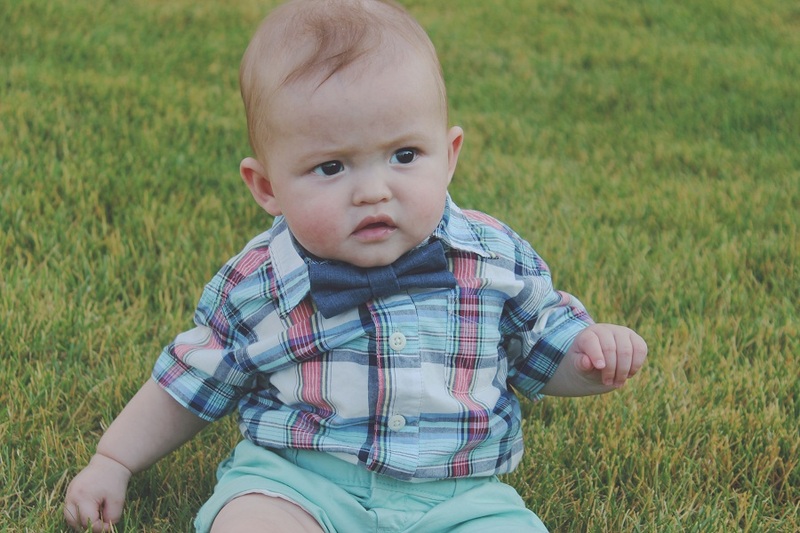 Lemons & Lace also sent Zaden their adorable "Dapper in Denim" bow tie! 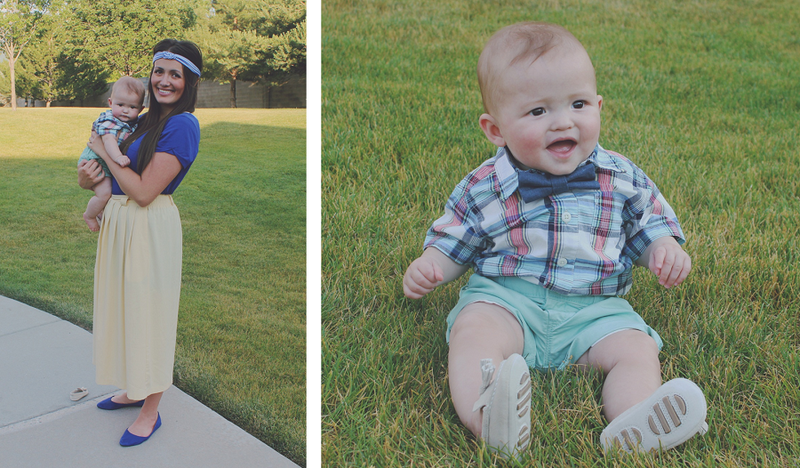 I love seeing little boys in bow ties and it's such a fun accessory to dress up any look. His little bow tie is backed with a fancy bow clip which makes it super easy to take on and off! 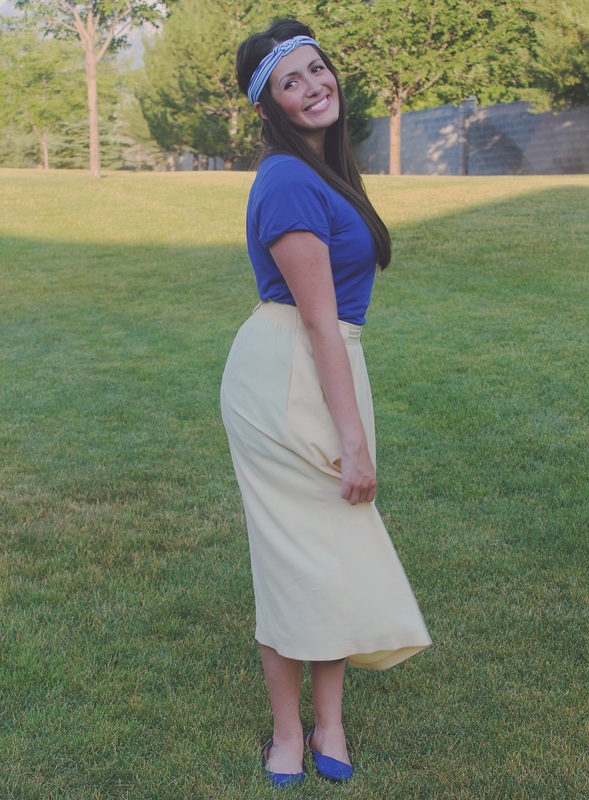 Make sure and follow Lemons & Lace on Instagram, Twitter, and Facebook for specials and announcements! *This giveaway is open until July 9th @ 11:59pm MST to ALL Dearest Lou readers. Winner will be announced on or after Wednesday July 10th Winner will be chosen randomly using random.org. your outfit is so pretty! And Zaden, what a stud. I LOVE the Just Peachy one, it's so gorgeous! I'd definitely go with the Radical Rockstar headband! I'd go with the lucky lady with the retro knot! 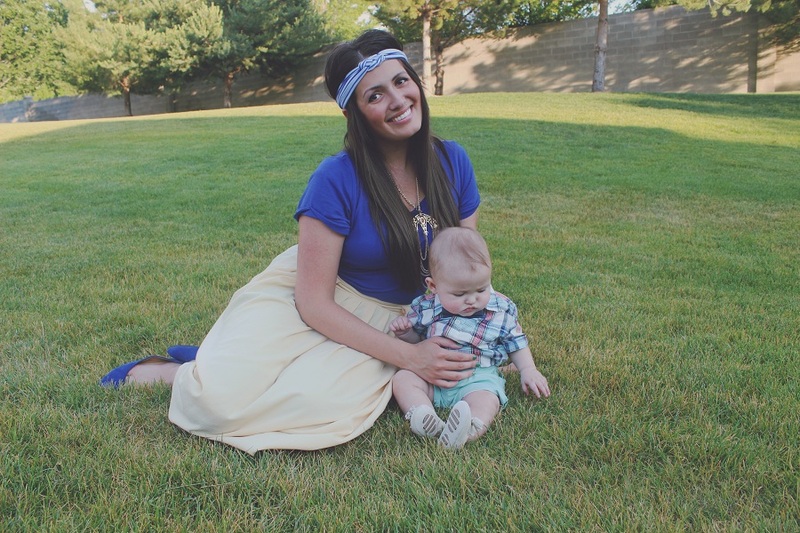 You and baby Z are the cutest! Totally love the ikat retro knot head wrap! That headband looks so, so good on you, seriously! I would have to pick the Radical Rockstar (mustard color one!) I hope I win! Fingers and toes crossed! Oh man, Zaden is getting so big! He's still adorable as ever! 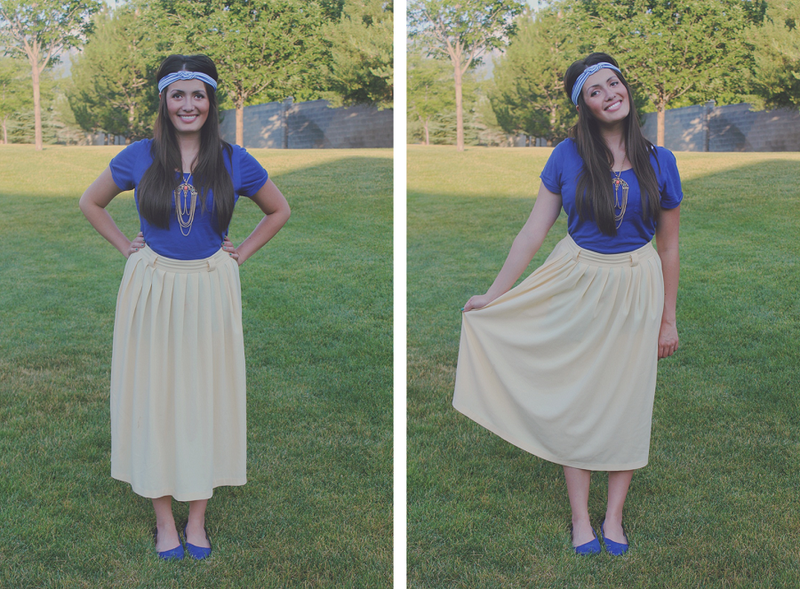 I really like your skirt - the color is so lovely and the headband is the perfect touch! I really like the "Ikat" Get Enough headband with the retro knot - super cute!